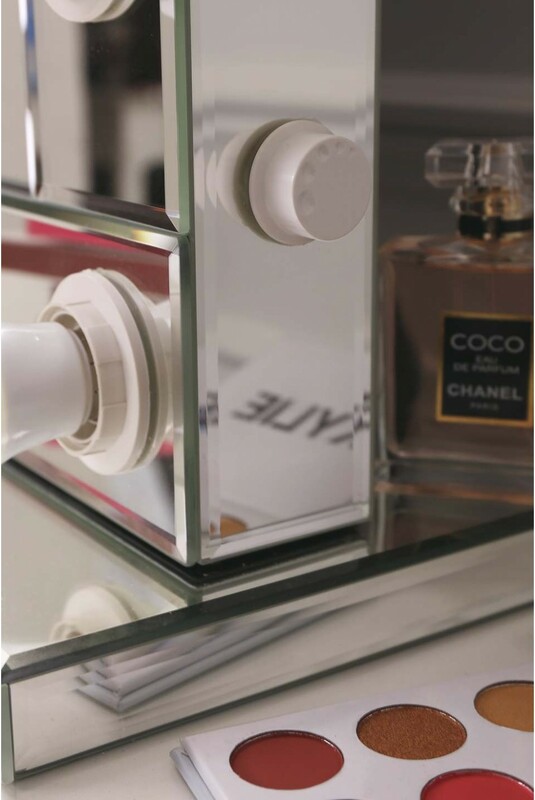 Obsessed with mirror furniture? 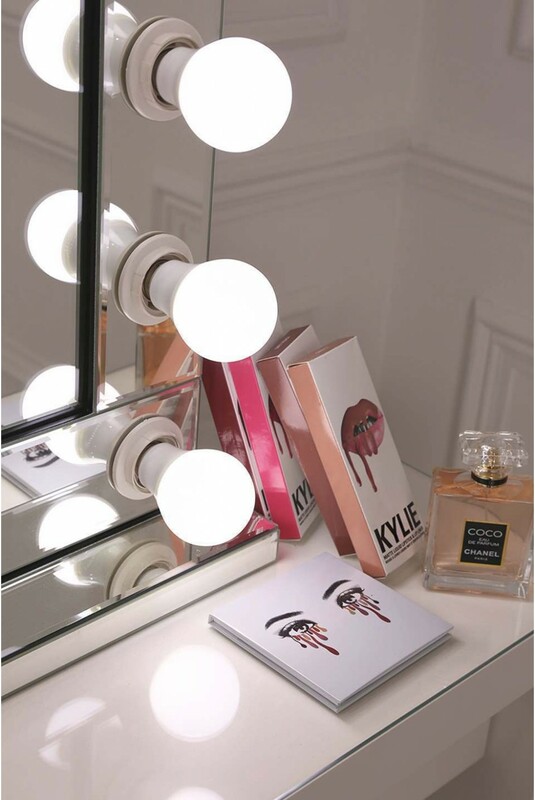 This is the makeup mirror for you! 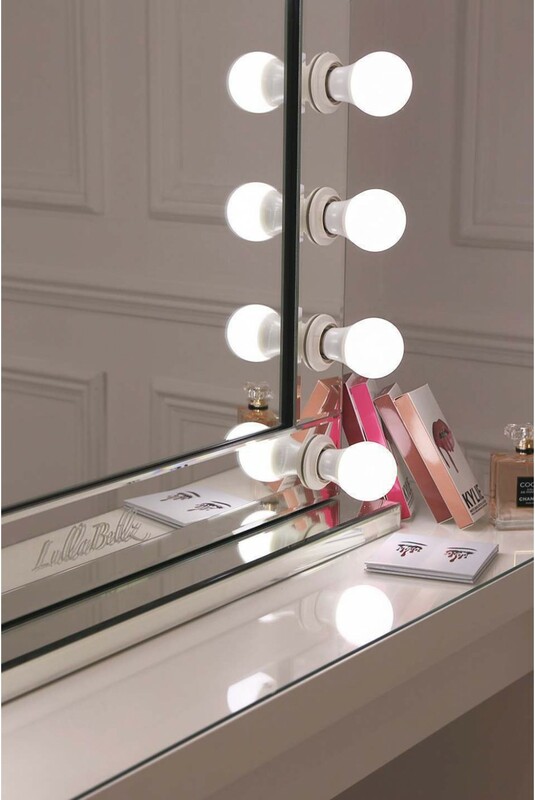 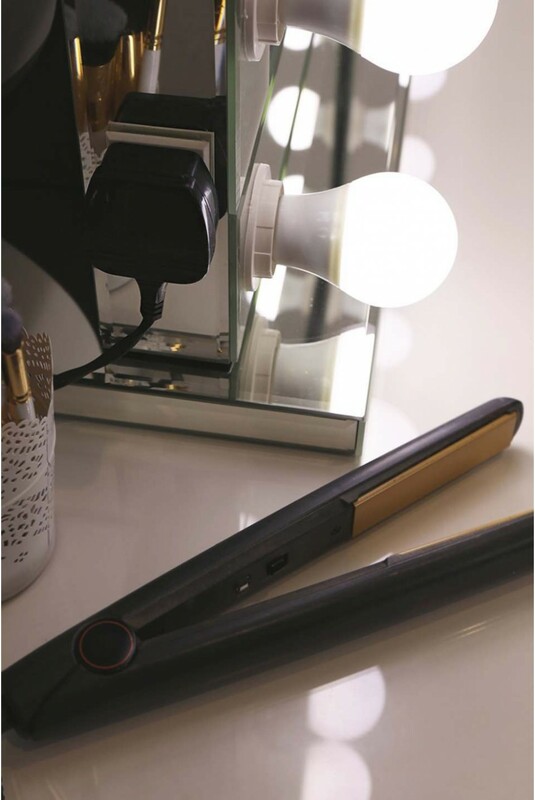 This beautiful mirror-finish hollywood mirror with lights has a dimmer switch so you control the brightness you need to get perfect flawless makeup finish; a plug socket so you can plug in your straighteners, hairdryer or phone; and the base can be detached and the mirror wall mounted with brackets that come included.